Daystar KJ09101BK Extended Foam Polyurethane Bump Stops- Set of 2; Mount Size 2"
BMW Genuine OEM Hydraulic fluid CHF 11S 83-29-0-429-576 PLEASE READ DESC. Does Not Include hardware. Fits 2007-2016 Jeep Patriot. 2007 Jeep Patriot. 2008 Jeep Patriot. 2009 Jeep Patriot. 2010 Jeep Patriot. 2011 Jeep Patriot. Fits 2007-2016 Jeep Compass. Squeaking is caused by high frequency vibrations that can be heard rather than felt. It is usually caused by lack of lubrication, poor installation, incorrect part, or urethane that may be too hard for the application. GM CHEVY GMC C10 C20 TILT STEERING COLUMN UPPER BEARING KIT ETC! FOR TILT STEERING COLUMNS ONLY! IF YOU CAN TRUST ANYONE WITH YOUR STEERING COLUMN ITS US! USED BEARING INNER RACE. 1983-1994 CHEVY S10 BLAZER. 1978-2001 CHEVY CAMARO. 1982-87 GRAND NATIONAL. 1982-87 REGAL. 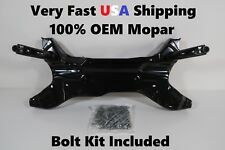 5 out of 5 stars - GM CHEVY GMC C10 C20 TILT STEERING COLUMN UPPER BEARING KIT ETC! 8 product ratings8 product ratings - GM CHEVY GMC C10 C20 TILT STEERING COLUMN UPPER BEARING KIT ETC! Model: JEEP PATRIOT. This item is from a 2014 JEEP PATRIOT. Type: New - Oem. Labor is not covered by warranty. UP FOR SALE IS A FORD STEERING COLUMN UPPER BEARING KIT FOR MOST 1992 AND UP. THE PARTS ARE ALL IN GREAT CONDITION AND HAVE NO WEAR. THE UPPER BEARING IS A COMMON PROBLEM ON ALL FORD STEERING COLUMN CAUSING SLACK IN PLAY. HIGHEST QUALITY - SAME DAY SHIPPING - 10-YEAR WARRANTY! 60 Day Returns. Fast Shipping. Trusted Dealer. 4.5 out of 5 stars - Daystar KJ09101BK Extended Foam Polyurethane Bump Stops- Set of 2; Mount Size 2"
5 product ratings5 product ratings - Daystar KJ09101BK Extended Foam Polyurethane Bump Stops- Set of 2; Mount Size 2"
Trending at $27.68eBay determines this price through a machine learned model of the product's sale prices within the last 90 days. As enthusiasts and racers, PROTHANE™ takes great pride in being the first to bring you better polyurethane bushings, transmission and motor mounts to enhance the performance of your vehicle. 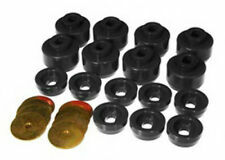 Body Mount Bushing Kit -- USA Built / Oval Holes. More than likely you need to replace your steering column coupler. HYUNDAI SONATA / ELANTRA / SANTA FE/ VELOSTER / AZERA. (1) FLEXIBLE STEERING COLUMN COUPLER. 2007-2014 Hyundai Elantra. 2011-2014 Hyundai Sonata. Laser engraved so nothing to peel off. Made from high grade gloss black acrylic for a sleek long lasting finish. Our acrylic version is more of a subtle look than our aluminum version. This is a little less visible. IT COMMONLY BREAKS ON THESE MODELS VERY FREQUENTLY. GM PART NUMBER: 26036367. WON'T CHIP, FADE OR PEEL LIKE PAINTED ALUMINUM! Fasteners are included as pictured. Fastener size is for 3/8" / 10mm mounting holes, and the JDM hole centers are 8.2670" (about 8 1/4") / 210mm. Made in the USA! NEW LOT OF 4 pcs OEM FOR Hyundai & Kia Genuine Flexible Steering Coupling Coupler 563152K000FFF. Hyundai Steering Column Flexible Coupler Sonata Elantra Accent Veloster Santa Fe Tucson. Jeep Wrangler (YJ) (1987-1995). Jeep CJ (1976-1986). Jeep SJ & J-Series (1974-1991). Orders are typically processed within 24 hours. Our goal is to provide top quality parts and accessories at rock bottom prices. Made from high grade gloss black acrylic for a sleek long lasting finish. Our acrylic version is more of a subtle look than our aluminum version. This is a little less visible. We can put your logo or custom wording on these. 1987 to 1996 YJ Wrangler. Using The Cure for Jeep at the steering knuckle and pitman arm tie rod ends will not allow necessary flex in your steering system and could lead to failure of your tie rod ends, The Cure, or other steering components. 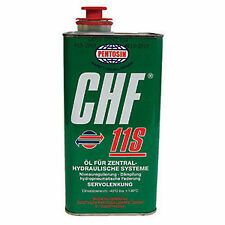 Part Number: Firestone Ride-Rite. :Optional;Lift kit compatible?. :Yes, May Require Spacers. 3225 Communication. 3007 Item as described. ATV Accessories. Interior Parts & Accessories. Condition : NEW. Firestone W01-358-9781,W01-358-9780,ContiTech910S16A382, 1DK23K9780, Goodyear1R12-186, 1R12-189, 1R12-303. Compressed Height: 8.75. Extended Height: 23.00. Sway Bar End Link Bushings;. They make a vehicle's sway bar system much more effective like adding a larger, higher performance sway bar! Made of HYPER-FLEX polyurethane that lasts much longer than O.E.M. rubber bushings. ATS Springs is. 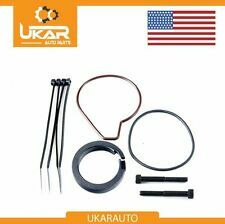 NEW Chevrolet/GMC Silverado & Sierra Shackle Kit. Kit Includes (2) Bushed Shackles and (4) Grade 8 Bolts, Washers & Nuts! GMC Sierra (C&K Series) 1999-2007 GMC Sierra 1500, 2500, 3500- 2wd & 4x4 -. Kit Includes (2) Shackles (2) Rubber Encased Bushings and (4) Shackle Bolts, Washers & Nuts! ATS Springs is. Chevrolet/GMC S10 Pickup 1982 - 2003 S10 Series Pickup -. Chevrolet/GMC S10 Blazer 1982 - 2003 S10 Series Blazer -. Model: DODGE CALIBER. - 60 Acre Salvage Yard. - We have over 6,000 vehicles in the yard and more coming in daily! - Established 1958. More universal steering columns you can choose, Please click Here Feature: Brand:Deepmotor Part Type:Steering Columns Product Line:Deepmotor Column Shift Steering Columns Column Length (in): 32.00 in. Column Diameter (in): 2 in. Column Lower Output Shaft: 1 in. Top Plate Width:9.00. Compressed Height: 7.50. Extended Height:18.00. 1980 - 1987 Chevrolet C10 Pickup Truck Rear Suspension Four 4 Link Kit GM GMC LS from Johnny Law Motors... Feature :: Heavy Duty Triangulated Full Size Universal Main Bar :: 28" (711mm) Long Secondary Bar :: 18" (457mm) Long Bar Wall Thickness :: 4. Included is a CNC machined plate delete & hardware. (Black Anodized Finish with All Black Hardware). Black Anodized finish for the highest quality possible;. Our plate is CNC machined from Aluminum plates and. Used to connect the steering column to the steering box or rack, can be cut to fit. 93-17 Subaru STi /WRX /Baja /Impreza /Legacy /Outback /Forester /Tribeca. 2002-2017 Subaru WRX Yes. 2004-2017 Subaru STI Yes. The pitch mount is designed to produce crisper gear shifts by preventing the front end of the transmission from pitching up or down, forward and back. 2 Bolts - 7/16"-14tpi x 3" long with 5/8" Hex head.